PRESS RELEASE: Advocacy for Respect for Cyclists (ARC) announces a MEMORIAL to be held for the latest cyclist casualty on the streets of Toronto: Tevane Sean Lennon, 22, murdered Tuesday August 11, 2009, at the corner of Finch Ave and Martin Grove Rd. Memorial date: August 18. Meet at Bloor and Spadina, 5:30 pm for a group bicycle ride, or 7:30 pm at the murder site. Bring flowers. 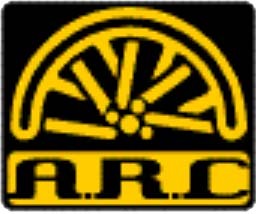 ARC STATEMENT: A couple years ago, a disproportionate number of Torontonians were killed or injured in gunfire, and the media were all over it. “The Year of the Gun,” they called it. And indeed the destruction was wanton and horrifying. At the same time, however, some observed that death on the roads from car crashes, including a large number of pedestrians and cyclists killed by car, went unheralded even while this number was far higher than that of people killed by gunfire. This year, the media have taken up the concept of a “War on the Car,” as if this inanimate object that so limits our transportation choice in the city of Toronto should be the subject of humanitarian aid. Meanwhile, the death and injury from gunfire and from car crashes both have been the locus of the real “war” on Toronto’s streets: a war that is killing real human beings. There are actual cases where “vehicular homicide” is planned and carried out, with the guilty party receiving only a minor penalty, if at all, for their “accident.” Occasionally the car and the gun converge, with the homicide clearly intentional but no less horrifying than when it is done using the vehicle alone. One such case was this past Tuesday, August 11, when Tevane Sean Lennon, 22, a cyclist, returning to his family home from a grocery shopping trip, was fired upon from the window of an automobile and killed. Advocacy for Respect for Cyclists stands up whenever a cyclist is killed on the streets of Toronto. We pay our respects to the fallen for we know we could be him or her. We understand the danger that goes with the joy of riding a bicycle, and we work toward making the city a safer place for all cyclists, at all times and in all neighbourhoods. In this strange convergence of the car and the gun as the source of danger to our fellow cyclist, we ask how strange is it, really? The car, like the gun, represents power, a machine purchased toward the end of enabling weak, dumb humans to rise above their station at the expense of the environment, including the lives of other human beings. A cyclist has made a choice of human-ness in the face of dumb power, and as such is vulnerable to the expression of dumb power. We speak of “gunning the engine,” and the cowardice implicit in the gunning down of this man is a demonstration of a power relationship, just as much as if he had been driven into and run over. No one deserves to be killed on the streets of Toronto, whether by gun or by automobile. We will ride to the site of the murder and hold a moment of silence in memory of the victim, in solidarity with his family and friends and in hope that justice will be served. This entry was posted on Saturday, August 15th, 2009 at 9:43 pm	and is filed under Breaking News Dept.. You can follow any responses to this entry through the RSS 2.0 feed. You can leave a response, or trackback from your own site.